Molds are types of fungi. They grow in the natural environment. Tiny particles of molds are found everywhere in indoor and outdoor air. In nature, molds help break down dead materials, and can be found growing on soil, foods, plants and other items. What makes mold grow? also very common in buildings and homes. Mold needs moisture to grow. Indoors, mold growth can be found where humidity levels are high, like basements and showers. Molds produce microscopic cells called “spores” that are spread easily through the air. Spores can also be spread by water and insects. Live spores act like seeds, forming new mold colonies when they find the right conditions. Yes and no. On the one hand, there will always be mold in your home in the form of spores and pieces of mold cells. The presence of mold in the air is normal. On the other hand, one should not let mold grow and multiply indoors. When this happens, your level of exposure can increase, thereby increasing the risk of potential health problems. Building materials, household goods and furnishings may also be damaged. Mold needs to eat to survive, and it’s perfectly happy eating your home if you allow it. What health problems can be caused by mold? There are four kinds of health problems that come from exposure to mold: allergic illness, irritant effects, infection, and toxic effects. For people that are sensitive to molds, symptoms such as nasal and sinus irritation or congestion, dry hacking cough, wheezing, skin rashes or burning, watery or reddened eyes may occur. People with severe allergies to molds may have more serious reactions, such as hay-fever-like symptoms or shortness of breath. People with chronic illnesses or people with immune system problems may be more likely to get infections from certain molds, viruses and bacteria. Molds can also trigger asthma attacks in persons with asthma. Headaches, memory problems, mood swings, nosebleeds and body aches and pains are sometimes reported in mold complaints, but the causes of these physical symptoms are not yet understood. The toxic effects of certain molds are not well understood, and are currently a controversial topic in the medical and scientific community. There is evidence of specific long-term toxic effects from eating foods with mold toxins. Unfortunately, very little is known regarding the actual health risks from breathing in or skin contact with mold toxins. Allergic disease is now considered the most likely health problem related to mold exposures. Research into the possible health effects related to mold exposure continues today. How can I tell if there is mold in my home, or should I test my home for mold? Look for visible mold growth (it may look cottony, velvety, rough, or leathery and have different colors like white, gray, brown, black, yellow, or green). Mold often appears as a staining or fuzzy growth on furniture or building materials (walls, ceilings, or anything made of wood or paper). 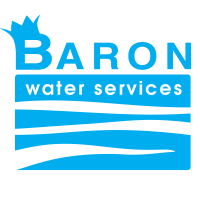 Look for signs of moisture or water damage (water leaks, standing water, water stains, condensation, etc.). Check around air handling units (air conditioners, furnaces) for standing water. Routinely inspect the evaporator coils, liner surfaces, drain pans and drain lines. Search areas where you notice mold odors. If you can smell an earthy or musty odor, you may have a mold problem. If mold-allergic people have some of the symptoms listed above when in your home, you may have a mold problem. 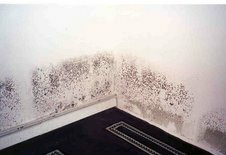 Mold is virtually everywhere, floating in the air and on all surfaces. People are exposed to molds 24 hours a day, seven days a week, and 365 days a year. Exposures increase when indoor moldy materials becomes dried, damaged or disturbed, causing spores and other mold cells to be released into the air and then inhaled. Elevated exposure can also occur if people directly handle moldy materials or accidentally eat mold. It depends on the situation and the person. This question is difficult to answer in the same way it’s hard to say how much sun causes a sunburn: the amount varies from person to person. What one person can tolerate with little or no effect may cause symptoms in another individual. Some types of molds can produce chemicals called “mycotoxins”. These molds are common, and are sometimes referred to as “toxic mold.” There are very few reports that “toxic molds” inside homes can cause unique or rare health conditions. If you think you have a mold problem in your home, you do not need to find out what type of mold you may have. All molds should be treated the same when it comes to health risks and removal. All indoor mold growth should be removed promptly, no matter what type(s) of mold is present, or whether or not it can produce mycotoxins. Stachybotrys chartarum (also known as Stachybotrys atra) is a greenish-black mold that can grow on materials such as drywall or sheetrock, ceiling tiles and wood when they become moist or water-damaged. Not all greenish-black molds are Stachybotrys chartarum. Some strains ofStachybotrys chartarum may produce mycotoxins. Whether a mold produces mycotoxins depends on what the mold is growing on and conditions such as temperature, pH, humidity or other factors. When mycotoxins are present, they occur in both living and dead mold spores, and may be present in materials that have become contaminated with molds. While Stachybotrys is growing, a wet slime layer covers its spores, preventing them from becoming airborne. When the mold dies and dries up, air currents or physical handling can cause spores to become airborne. Currently, there is no test to determine whether Stachybotrys growth found in buildings is producing toxins. There is also no blood or urine test that can tell if an individual has been exposed to Stachybotrys chartarum spores or its toxins. How can Stachybotrys affect my health? Typically, indoor air levels of Stachybotrys are low. As with other types of mold, at higher levels adverse health effects may occur. These include cold-like symptoms, rashes, sinus inflammation, eye irritation and aggravation of asthma. Some symptoms are more general – such as inability to concentrate or fatigue. 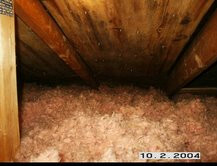 Usually, symptoms disappear after the mold is removed. How can I tell when Stachybotrys chartarum is present in my home? Many molds are black but are not Stachybotrys. For example, the black mold often found between bathroom tiles is not Stachybotrys. Stachybotrys can be identified only by specially trained professionals through a microscopic exam or by cultures. The Florida Department of Health does not recommend that people sample mold growth in their home. All indoor mold growth should be removed, regardless of type. Note: While most experts suggest a relative humidity of less than 60%, below 50% is best for controlling both mold growth and dust mites. Dust mites are microscopic animals related to spiders, ticks and other mites. Dust mites eat mold and dead human or animal skin scales (flakes) and leave allergenic proteins. Dust mites reduce allergen production at these lower humidity levels.